Starting out in oil painting might be a bit intimidating, as oil supplies are not the cheapest on the market by any means. A bit of strategy when purchasing your first colors will stretch your budget so you can get started painting that piece you've been dreaming about for ages. Start with a basic set of colors. 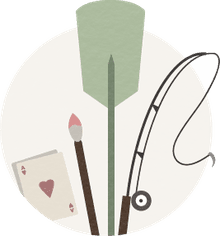 If you can afford it, buy one of the cheaper artists' color sets rather than student sets because they tend to give superior results when color mixing. If you want to mix all your colors, buy two reds, two blues, two yellows, and a white. You want two of each because you want to have a warm and cool version of each color. Having six primary colors rather than just three also gives you a larger range of colors available to use in mixing. Otherwise, take a look at the list of suggested colors compiled for acrylic painters. For white, look for a "mixing white" or "neutral white," or try a flake white or titanium white, which are the faster-drying whites. Even though the professional-grade paints come with a higher price tag, you must be willing to use the paint, not be hesitant to pile it on thickly, to scrape the paint off, to mix colors together to see what results you get, and to experiment with the colors. The most important thing when learning to paint is a willingness to just try and see what happens. You learn the most about painting by using the materials, through hands-on experience. 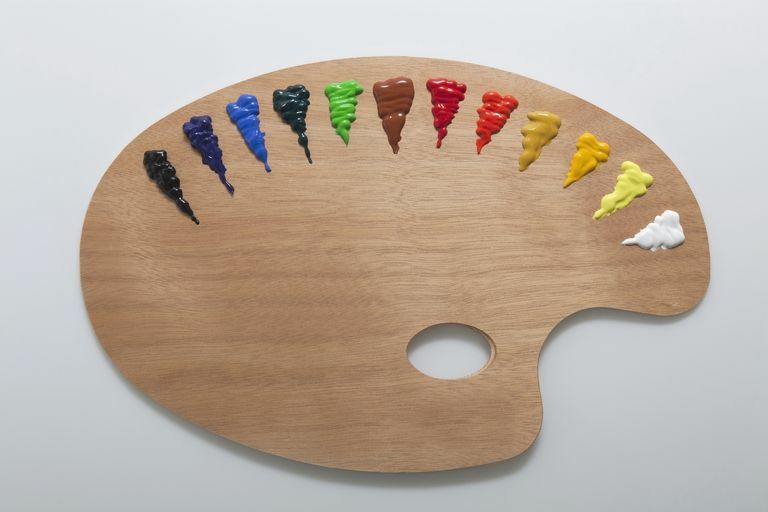 We all dream about painting masterpieces, but the first step is playing with the paints to see what they do (rather than reading about what other people say they do). At worst you've used up a bit of paint and time. Keep your mediums to a minimum initially. You'll need some linseed oil for thinning down the paint and for cleaning your brushes. It's relatively cheap and easily available. A lot of people use turpentine or mineral spirits for thinning the paint and for cleaning their brushes because it evaporates quickly, but you don't have to use these. Oil will also clean paint out of your brushes. The one painting "rule" you need for oil painting is the "fat over lean" principle. Different colors of oil paint dry at different rates, from a couple of days to a couple of weeks. Those with more oil are more "fat," and those with less oil or thinned with mineral spirits or turpentine dry faster and are more "lean." If you paint something leaner over something more fat, the top layer will dry faster than what's underneath. This will lead to cracking of the top because the layers underneath will contract when they dry. If you always apply "fat over lean," then you prevent cracking because the layer on top will take longer to dry than the layer underneath it. You want to be cognizant of this rule right from the beginning for best results in your finished work. Take time to learn how to work with the paints, and eventually, you will have the techniques to bring forth that masterpiece that's been in your head for so long. How Long Do You Need to Wait Between Coats of Oil Paint? How Are Oil Pastels and Oil Sticks the Same and Different? What Does 'Fat Over Lean' Mean? Can I Finish a Painting in Oils that I Started in Acrylics?